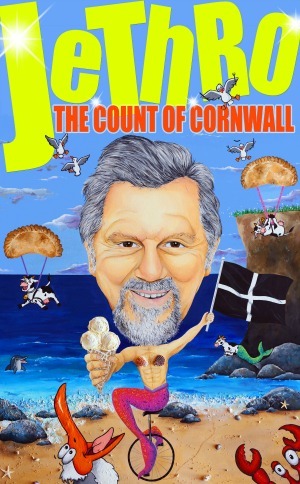 Following 60 sold out shows last year, “The Count of Cornwall” is back again with Jethro's unique style of comedy. Jethro beguiles and befuddles his audience with the endless stream of irreverent twaddle for which he is known and celebrated. Over four million DVD sales pay testament to his legion of fans who have followed him faithfully throughout his career. Now it’s your chance to see him live on stage as he presents stories old and new. Min. age 16. Doors open 7 for 7.30pm start. Note: Drinks bought at the bar may be consumed during the show but the bar will be closed 5 mins before the show and during it. It will open again for the interval and drinks may be pre-ordered at the bar.